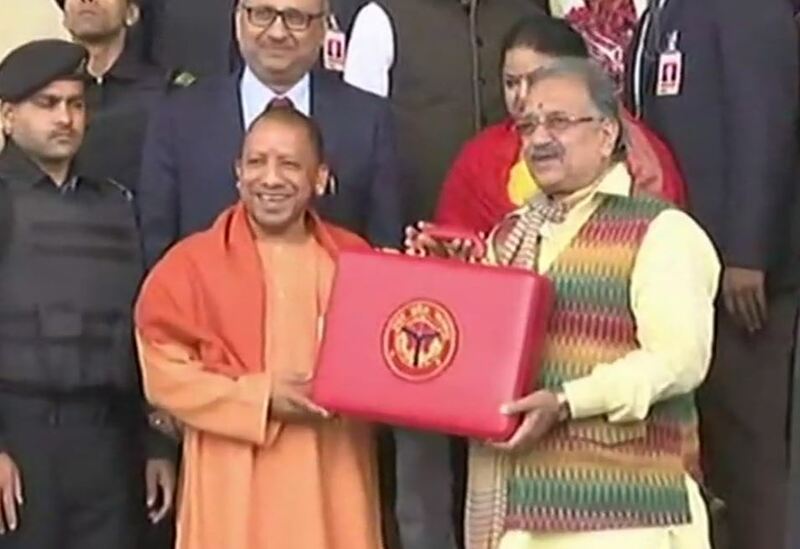 Uttar Pradesh Finance Minister Rajesh Agarwal on Thursday presented the state budget for 2019-20 with an outlay of Rs 4.79 lakh crore. Rs 6,240 crore for the Pradhanmantri Avas Yojna. Rs 13,135 crore for development of roads under PWD and Rs 2,100 crore for construction of bridges. Rs 1,200 crore has been set aside to launch Kanya Sumangla Yojana for the welfare of girls. Rs 910 crore for minority community students scholarships. Rs 459 crore for modernisation of Arabic/Persian language Madrasas. Rs 300 crore and Rs 200 crore for special programmes in Poorvanchal and Bundelkhand respectively. Rs 300 crore for development of shrines. Rs 247.60 crore for construction and maintenance of gaushalas in the rural areas and Rs 200 crore the up keep of stray cattle in urban areas.